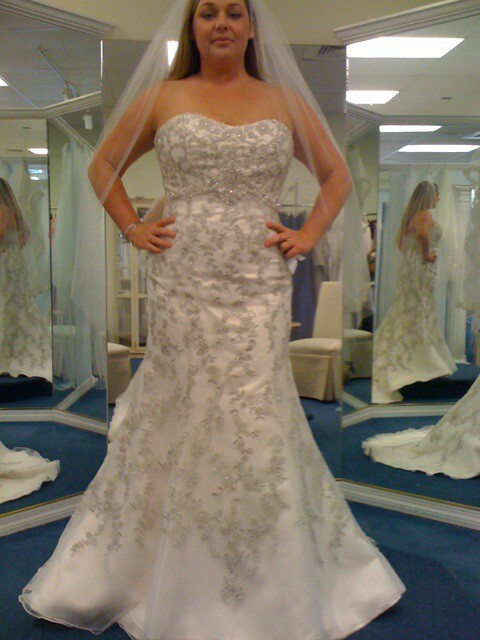 Never been worn wedding dress with delicate sparkly detail and elegant brocade overlay. Small train. Built in bra. I was the first person to try on the dress from the store, purchase it, had it fitted then wore a different dress in my wedding. It’s so beautiful and should have its day in the aisle. Happy marriage. Built in bra. Optional straps. Once you send a message, Sheena can invite you to purchase the dress.